Every Saturday at 9 PM we meet for the Langstrasse Tour @Helvetiaplatz – next to the statue. After we get to know each other a lil bit the guides lead you to three different bars around the notorious Langstrasse. In each bar you will be offered a welcome shot. In the end we move on to a club. 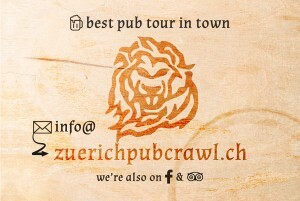 Here you can find more details about the Zürich Pub Crawl offers.